Miss Saigon, which opens at the Academy of Music today (through March 31), is one of the most successful musicals in history. And for two actors in the cast with close ties to war-era Vietnam, its themes are family history. Ensemble member Matthew Overberg is the Austrailian-born son of parents who escaped from Vietnam during the war. Matthew Overberg, cast member of the touring company of "Miss Saigon," March 19-31 at the Academy of Music. His father had to trek across a mountain range. Australia was where his mother landed. Fellow ensemble member Jackie Nguyen feels that same connection. “The story of Miss Saigon is pretty much my mom’s story,” she said. Her mother fled Vietnam after the communist takeover. Jackie Nguyen, cast member of the touring company of "Miss Saigon," March 19-31 at the Academy of Music. 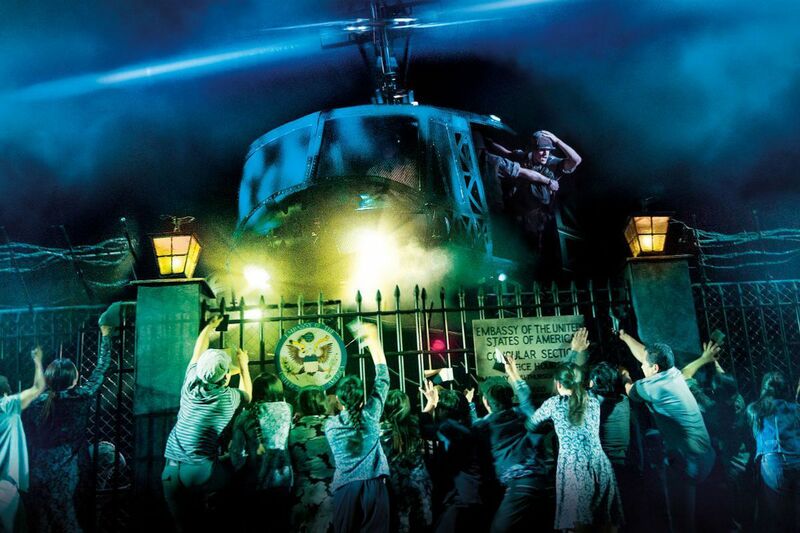 Miss Saigon was the first musical Nguyen saw in person. “I couldn’t believe it,” she said, “seeing this story about Vietnamese people, the story my mother lived through.” It got her thinking about a theater career. It was emotional when Nguyen took her mother to a show. “One of the scenes is very hard for her to watch,” she said of when the helicopter leaves the city.